It seems last week all the people we met were feeling scattered or out of sorts. We asked what their Sun Sign was and most said “Cancer”. Because our Sun Sign is Cancer we could relate because one of the constant traits is becoming scattered. This is because Cancers have a common habit of their Chakra’s becoming out of balance and then their entire four body system becomes out of sorts. Adding on to last week was the full moon and the Sign of Cancer’s planet is dominated by the Moon and then the full moon bumps up the energy by ten fold. Then there was the Summer Equinox thrown in. Not a great week to be out of balance. Part of our normal weekly practice is balancing our Chakra’s because it seems whenever we skip a week, we get out of balance. 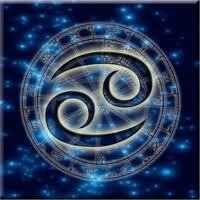 So if you have a Sun Sign of Cancer you might consider constant balancing of your Chakra’s. There are some great free sites where you can run you “chart” and get your Sun, Rising, and Ascendant signs which can help you keep even more in balance. They usually come with a complete description of all of your signs combined and how this will or effect you’re day to day life. Astrology is just another tool to help you get through your life. We do not use it to make major decisions, but we do use it to get an overview of the current energies. Run a chart on someone you know very much and you will be surprised how much a chart tells you about a person’s basic traits. If you run one on yourself be sure to be open minded and honest with what you read. 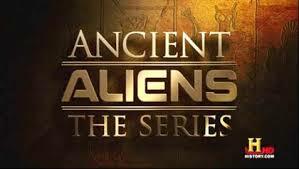 Ancient Aliens Declassified was on last Friday for three hours. It was mainly a bunch of hour segments put together, all of which we have seen before. The beginning was about how various civilizations aligned their monuments with the stars and galaxies. Of course, this would take the assistance of aliens because we believe they where here to assist the civilizations in growing. Aliens started the entire process and today’s civilizations have already been tried at least three other times, but the aliens were not satisfied with the results and how the negative energy was handled, so they wiped Mother Earth clean and started all over. In the show the question keeps being raised “Where did the aliens go?” Our answer is when they were done they needed to let the civilizations grow by themselves to see where this was all going. If they saw a possible issue, they would step in and make an adjustment like if the did not like the direction a group of people were on they would get rid of that group with a natural disaster. Floods, meteorites, and earthquakes work great for this. So here we are in another civilization being observed by aliens and at a point where the last civilization was encountering huge amounts of negative energy and abusing Mother Earth causing climate change to a level that would eventually destroy most life forms on this planet. Rising waters will begin to eliminate most of the land, which will cause massive famines and death to the populations all over the world. Aliens do not want this to continue, so we are at a point in time where the last civilizations try did not satisfy the aliens and now we must find the answers soon. Yes, soon, within the next year and a half. We have seen writings of this fact and just look out the window to see climate change coming from our abuse of pollution of the air and water, severe storms all over the planet, colder temperatures where there was once warm temperatures, out of season snow storms, flooding in most parts of the planet, and so much more. Mother Earth is battling to stay alive and healthy but if wee continue killing Mother Earth the aliens will eliminate us and tray all over again. Mother Earth will survive no matter if we are here or not, and “not” will be if we don’t find the answers. The whole point of this alien experiment is to create a civilization that does not have direct access to God like all the other inhabited planets. Our civilization requires the people to make a choice to find the God they can believe in or create their own belief system that requires the help of other entities. The aliens believe this creates a stronger and more durable civilization and eventually they will provide the technology for the humans to venture out too other inhabited planets and spread the strength. First, we must get through the next year and a half. We are not talking about just the USA, but the entire world must come together to heal the Earth. How? We think by bringing back Buddha, Jesus, Allah, and all the other religious leaders that will get rid of the current religions and create a “New World Religion”. This era is currently being called “The New Golden Age” by the aliens and other supporters. We are blessed to be part of the Lemurian civilization that currently resides at Telos at Mount Shasta in the fifth dimension. We meet every Saturday via net meeting of people from all over the world. Click above or search Google for “Telos” and read how to become part of the group. Our point is to heal Mother Earth and all the peoples of the world. So to all the folks out there on Earth, how about jumping in and helping to heal Mother Earth. You see all the reports of UFO’s? They are checking on us so next time flash a Peace Sign their way to kiss up to the beings that hold your life in their hands. We have nothing else to report at this time except to send blessings to all.